Christophe Penot, Ambassador of France to Australia, was welcomed on 20 November at Deakin University (Melbourne) for a meeting devoted to the development of the university’s relations with France. The meeting highlighted some of the collaborations established between Deakin and France, which will be able to benefit from this program. 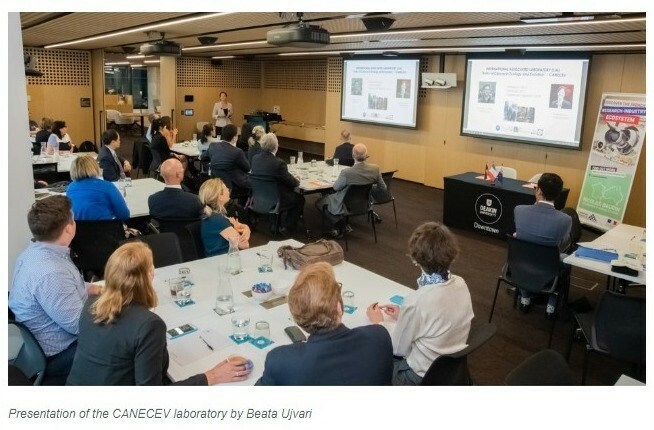 In particular, research work brought up regarding the prevention and treatment of cancer, carried out in collaboration with the CNRS in the framework of the associated international CANECEV laboratory which was set up during the visit of the President of the Republic to Australia in May 2018. Read more @ the Embassy of France in Canberra website.